Possible explosion, located near the site where North Korea has detonated nuclear explosions in the past. If this event was an explosion, the USGS National Earthquake Information Center cannot determine its type, whether nuclear or any other possible type. The Air Force Technical Applications Center (AFTAC) is the sole organization in the federal government whose mission is to detect and report technical data from foreign nuclear explosions. 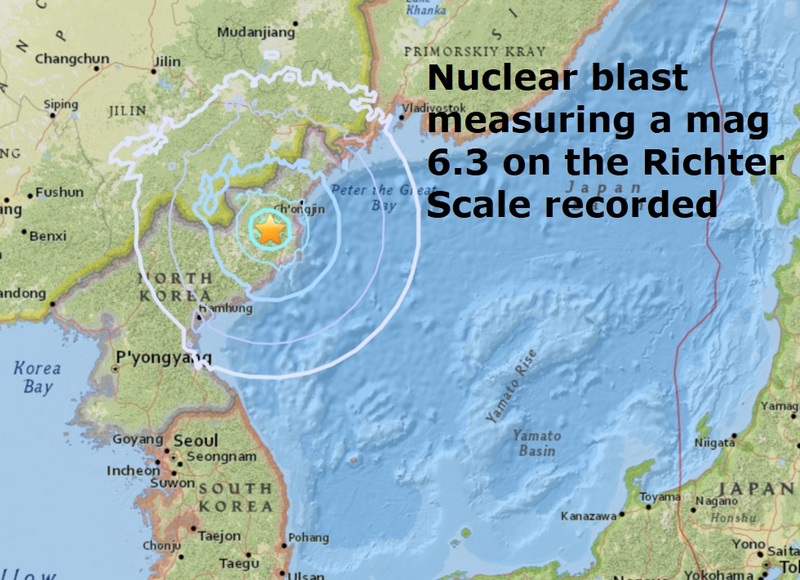 A 6.3-magnitude seismic event was recorded in North Korea Sunday that the U.S. Geological Survey says was a "mining explosion," in what may be another nuclear test. 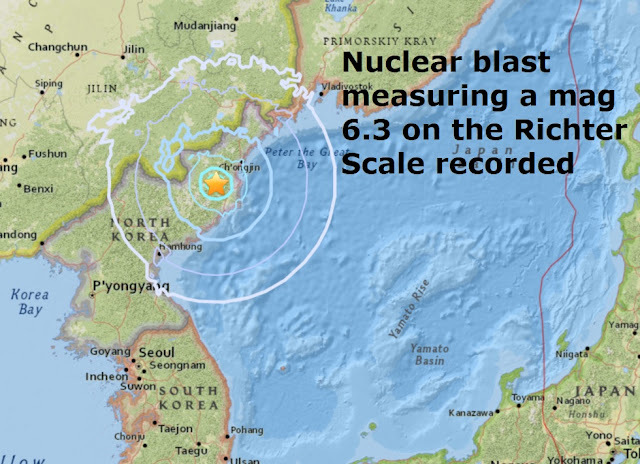 The USGS said on its website that the event was a "possible explosion, located near the site where North Korea has detonated nuclear explosions in the past." Some past seismic events in North Korea have been caused by nuclear tests. North Korea has conducted five nuclear tests since 2006, including two last year, which have sparked international condemnation. "An artificial earthquake movement of 6.3 Richter scale has been suspected near Poonggaeri area in North Kroea at around 12:34 pm KST and we are conducting further analysis about the nature of this artificial earthquake," a South Korean military official told NBC News. The event was recorded around 14 miles northeast of Sungjibaegam just after 12:30 p.m. Seoul time (11:30 p.m. Saturday ET), the USGS said. China's earthquake administration says the quake is a "suspected explosion," according to Reuters. Earlier Sunday, North Korea's state news agency KCNA claimed that country has developed a "more developed" nuclear weapon it called a hydrogen bomb, a boast that follows intercontinental ballistic missile tests. South Korea's president is expected to hold an emergency National Security Council meeting Sunday, a presidential spokesperson said.